The Vermont Attorney General’s Office will update this webpage as information becomes available. Please check back often. If you would like to receive alerts from us as this page gets updated, please email AGO.ConsumerInfo@vermont.gov requesting to be added to the listserv. Today, the State of Vermont filed a lawsuit against Volkswagen AG and several of its subsidiaries for violations of Vermont’s Consumer Protection Act and Air Pollution Control laws and regulations. The State alleges that the defendants sold and leased certain diesel passenger vehicles which were advertised as “clean,” green” and “environmentally friendly” when in fact, they emitted up to 40 times the amount of legally permitted pollution. The State seeks recovery for consumers who purchased certain 2.0 Liter and 3.0 Liter diesel passenger vehicles, penalties payments to the State, and injunctive relief. If you would like to read the Complaint we filed in court, here is a link. As stated in our 6/28 Update, there is a class action settlement that relates to the 2.0 Liter diesel passenger vehicles, and information about that settlement and the recovery consumers may receive can be found at www.VWCourtSettlement.com and through the Federal Trade Commission website, www.ftc.gov/VWSettlement. Should Consumers Participate in the Class Action or Wait for the Outcome of the State’s Lawsuit? Consumers who purchased the affected 2.0 Liter diesel vehicles may either participate in the class action and obtain recovery from it, wait for the outcome of the State’s lawsuit, or hire a private attorney. Our office cannot tell a consumer which course to pursue. A consumer who accepts the recovery offered in the class action cannot also recover in another lawsuit. Because there has not been any resolution in the class action on behalf of consumers who purchased the affected 3.0 Liter diesel vehicles, Vermont consumers do not have to make a decision now about which course to pursue. On August 8, 2016 the Vermont Attorney General’s Office issued a press release regarding public comments that Vermont, as leader of a sixteen state coalition, filed with the United States Department of Justice, in which the coalition urged the Department of Justice to expand the allowed uses for funds allocated to the states under a proposed partial settlement between the United States, the State of California and Volkswagen. The California Air Resources Board (CARB) today rejected proposed recall plans submitted by Volkswagen/Audi and Porsche for repair of undisclosed Auxiliary Emission Control Devices (AECDs) and defeat devices in 3.0 liter, diesel passenger cars manufactured for model years 2009-2016. A partial settlement of many claims relating to Volkswagen’s “Dirty Diesel” emission fraud case was recently announced. Among other things, the settlement provides consumers with the option to either sell affected vehicles back to VW, or to have the vehicles repaired to fix the emissions violations. The details of the settlement are available at www.VWCourtSettlement.com, and through the Federal Trade Commission website, www.ftc.gov/VWSettlement. Additional online resources will likely be made available by VW and the court. Although the diesel emissions fraud involved “defeat devices” installed in both 2.0 liter and 3.0 liter engine cars and SUVs, the current settlement covers only vehicles with the 2.0 liter engines. VW, the state attorneys general, federal regulators, and the consumer class action lawyers continue to negotiate about what relief will be available later to owners of the 3.0 liter engines. Consumers who purchased an affected vehicle have the option of either (1) selling it back to VW, or (2) having it fixed with an Approved Emissions Modification. Under either option, consumers will also receive additional restitution from VW. Consumers who leased an affected vehicle have a similar option, and can either (1) terminate the lease with no penalty, or (2) have the car fixed with an Approved Emissions Modification. Under either option, lessees will also receive additional restitution from VW. For car owners who choose the Buyback option, VW will pay the National Automobile Dealers Association (“NADA”) value of the car as of September 2015 before the VW fraud became public, plus an additional cash payment as “Owner Restitution.” The minimum Owner Restitution payment for any vehicle—to be paid on top of the vehicle value—is approximately $5,100 to $10,000 per vehicle. The amount will be based on the age and mileage of the car. For those owners who sold the car after September 18, 2015, the settlement equitably divides the Owner Restitution payment approximately 50/50 between the previous owner before September 18, 2015 and the current owner. Car owners who want to keep their vehicle and get it fixed and modified to meet the EPA emissions requirements will need to wait for final EPA approval of VW’s proposed engine modifications. Once a modification is approved, consumers can bring their vehicle into a local dealership to be fixed at no cost to them; they also will receive at that time an Owner Restitution payment as described above. That means owners who keep their cars will receive a minimum of $5,100 each, in addition to the repairs at no cost. VW will also offer extended warranties and disclosures of the modifications made to fix the emissions problem. Note that the EPA approval process might not be complete for many months, perhaps as late as 2018 for some engine models. Consumers who want to keep their vehicles will therefore need to wait to find out whether their car can be fixed with an Approved Emission Modification. If a modification for a particular engine type ultimately is not approved, owners who waited for a potential repair and fix would be eligible to get a Buyback on the same terms as described above. Lessees may terminate their leases without any termination fee and receive a cash Restitution payment equal to approximately half of what the owner of the identical car would receive under the buyback plan. Consumers with an active lease who want to hold on to their cars may choose to wait to see whether there will be an Approved Emissions Modification for their car, as described above. If those lessees elect to keep their cars under their leases with the repairs, they too will receive Restitution. Beginning in late July 2016 the VW settlement website will allow consumers to enter their Vehicle Identification Number (VIN) and mileage to see the exact Vehicle Value and Owner or Lessee Restitution amount for their vehicle, based on its model year, trim line, and factory options. VW has agreed to begin the Buyback program immediately after the Court grants final approval of the settlement, most likely by the end of the summer of 2016. VW has committed to processing approximately 5,000 applications per week under the Buyback option. Currently, there are approximately 475,000 owners and lessees of 2.0-liter diesel vehicles of the model year 2009 through 2015. Until such time as an acceptable emission system modification is available, owners and lessees may continue to drive their vehicles, even if the car might fail a state inspection. However, once an acceptable emissions system modification is available, owners and lessees should either obtain the emissions fix or sell their vehicle back to VW. The summary here is not intended to provide specific guidance on participating in the VW Restitution program, as the State of Vermont is not administering the program, nor is Vermont processing any claims or handling any disputes. Consumers who have an affected vehicle should receive notice from Volkswagen beginning fifteen days after the Court’s approval of the Consent Decree explaining in more detail the process for obtaining a fix or buyback. In the meantime, consumers who believe they have an affected vehicle should go to the VW or FTC websites listed above and follow the appropriate steps to determine eligibility and to participate in any of the available remedies. In addition, many consumers will receive notices from the federal court regarding their rights as potential beneficiaries of the private class action lawsuits filed against VW. Those court class action notices will contain important information about the legal rights of VW owners and lessees, including instructions for participating in the program or opting out. Consumers have the option of “opting-out” of this settlement and pursing their own case against the automaker. On April 21, 2016, it was announced that a non-binding agreement was reached by certain parties to the Volkswagen litigation in federal court. This announcement does not in any way resolve the consumer and environmental penalty claims of the states, or the states’ claims for injunctive relief. The Vermont Attorney General, along with 45 other attorneys general, continues to vigorously investigate Volkswagen’s misconduct, and will aggressively pursue the recovery of substantial penalties and other appropriate relief. The California Air Resources Board (“CARB”) has notified Volkswagen Group of America, Inc. (Volkswagen) that it is rejecting Volkswagen’s submitted recall plan for its 2.0 liter diesel vehicles sold between 2009 and 2015. CARB also issued a Notice of Violation outlining Volkswagen’s violations of California air quality regulations associated with the company’s use of a “defeat device” in those cars. Why is this important to Vermont’s consumers? Vermont is one of 13 states which adopted more stringent vehicle emissions standards than those standards put forth in the Federal Clean Air Act. These states (sometimes known as the “177 States”—named for the section which allows states to adopt stricter emissions standards) have adopted the stricter emissions standards put forth by CARB. Therefore, the approval and regulation of any potential recall and/or solution must first be approved by CARB and the EPA. Does this mean my Volkswagen 2.0 liter diesel vehicle will not be recalled? The rejection of the proposed recall fix by Volkswagen does not preclude a future recall, but allows for a broader array of potential remedies. These remedies may include penalties, recall and/or buyback programs. Vermont’s investigation is ongoing and we look forward to updating you with information on these remedies as it becomes available. What about Volkswagen’s 3.0-Liter diesel vehicles? The rejection only applies to Volkswagen’s 2.0 liter diesel vehicles, not 3.0 liter vehicles. Submission of the recall plan for the 3.0 liter diesel vehicles is due to CARB on February 2, 2016. In the meantime, please check this webpage often. 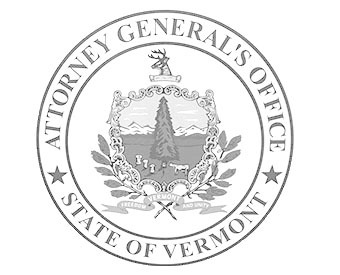 The Vermont Attorney General’s office shall continue to provide updates via this webpage and the listserv. If you would like to be added to the listserv, please send a request via email to AGO.ConsumerInfo@vermont.gov. 1. What is the problem with VW diesel cars and is my car affected? Volkswagen of America Group is being investigated for installing software in certain diesel cars that senses when an emission test is being administered and falsifies the results. Approximately 3188, Volkswagens, Audis and Porsche vehicles for the relevant models and years are currently registered in Vermont. The United States Environmental Protection Agency (EPA) has found that certain four-cylinder and 3 liter Volkswagen, Audi and Porsche diesel vehicles from model years 2009-2015 have illegal software that circumvents EPA emissions standards for certain air pollutants. This software is called a “defeat device.” In September 2015, EPA issued a Notice of Violation of the Clean Air Act (CAA) to Volkswagen for producing and selling diesel cars with this software. On November 2, 2015, the EPA further issued a Notice of Violation identifying the 2014 Volkswagen Touareg, 2015 Porsche Cayenne, and 2016 Audi Quattro, A8, A8L, and Q5, as also incorporating the software which bypasses, defeats or renders inoperative elements of the vehicle related to compliance with emission standards. EPA continues to investigate this problem. You can find a list of the vehicles with this software and answers to Frequently Asked Questions at EPA’s website: http://www2.epa.gov/vw. 2. Is Vermont investigating this problem and what is likely to be the result of an investigation? The Vermont Attorney General’s Office is investigating this problem. The Office’s Consumer Protection and Environmental Protection Divisions are looking at whether Volkswagen violated Vermont’s Consumer Protection Act and air pollution control standards. The Office is working with the Vermont Agency of Natural Resources and Attorneys General in other states. Collecting all the information needed will take time. We cannot predict the result of this investigation. Usually, if Vermont reaches a settlement with a company which was violating the Consumer Protection Act, the State gets (1) injunctive terms to prevent the conduct from happening again, (2) restitution to Vermonters who have suffered damages as a result of the company’s actions, and (3) civil penalties. Restitution may include money for any damages, refund, or replacement. 3. My car is affected. What should I do now? A. The State of Vermont investigation. Because this case is being investigated, and losses suffered by consumers will be addressed in the government’s investigation, Consumers do not need to contact Volkswagen directly. However, we do ask that owners of affected cars file a written complaint with our office, so that we can communicate with consumers about this issue. To file a complaint electronically, go to our online complaint form. For additional instructions on how to file a complaint by mail, email, or fax, please review our instruction page or call 802-656-3183 or 1-800-649-2424. B. Private actions. You are free to join a class action lawsuit. You can also consult with a private attorney. Our Office cannot tell you whether to take either action. Consumers can contact the law firms which have filed these private lawsuits and ask questions about the pros and cons of joining a lawsuit. As in any private litigation on behalf of consumers, the attorneys handling the private lawsuit will be paid a portion of any money received from the lawsuit. Would I be a named plaintiff in the lawsuit or just a member of the class of affected consumers? What would be my degree of involvement in the litigation if I were a named plaintiff? Would this be different if I were just a member of the class of affected consumers? Would I be required to pay any expenses for the lawsuit? Would I be subject to a deposition or would I have to provide written responses as part of the discovery process? Would my status affect the amount of damages I might receive when the case is settled? Would I have to elect to receive restitution or damages only through the class action? C. Vermont’s Lemon Law. For a brief description of your rights under Vermont’s Lemon Law, please see No. 7 below. Volkswagen has stated that it plans to recall and retrofit 11 million diesel-powered cars worldwide. Volkswagen must come up with a plan to correct the problem and this must be approved by EPA. Volkswagen has represented it will present a solution and action plan to the EPA for approval soon. Although Volkswagen has said that it will be asking owners to bring their cars in soon to have the illegal software deactivated, it could be several months or more before a recall is issued. It is our understanding that owners will be notified of that recall once Volkswagen and Audi have developed a remedial plan and EPA has approved the plan. Manufacturers are given a reasonable amount of time to develop a plan to complete the repairs, including both the repair procedure and manufacture of any needed parts. Depending on the complexity of the repair and the lead time needed to obtain the necessary components, it could take up to one year to identify corrective actions, develop a recall plan, and issue recall notices. 5. What changes would need to be made to my car to meet air pollution control standards under the Clean Air Act? What would it mean for my car? It is unknown at this time. The federal government has not issued any findings at this time to address how each vehicle’s emissions system would have to be changed to meet air pollution standards. However, some private automotive experts have offered opinions about possible options. One example of options that have been suggested is here http://www.wired.com/2015/09/vw-owners-arent-going-like-fixes-diesels/. We do not know whether or not these options will be approved. 6. Will my car pass a Vermont State Inspection before it is fixed ? Yes, vehicles with the affected emissions systems will meet Vermont state inspection requirements. In consultation with the Vermont Agency of Transportation/Department of Motor Vehicle, it is our understanding that a vehicle with this problem will not fail the emissions system component of the inspection process. In this instance, consumers will not be held responsible for a problem created by the manufacturer. The emission system will need to be repaired, but it may be done as part of the EPA approved recall process. 7. Can I use the Vermont Motor Vehicle Arbitration Process (the Vermont Lemon Law) to make a claim? The Vermont Motor Vehicle Arbitration Act (commonly known as the Lemon Law) provides consumers who have leased or purchased a car in Vermont with a forum to resolve warranty problems with the Vermont dealer. In order to be eligible to use this forum, a purchaser must have attempted to repair a warrantied defect (commonly referred to as “3-times out” because the owner must have made three repair attempts) or the vehicle under warranty was 30 days out of service. A consumer interested in exploring this forum should carefully review the information provided on the Lemon Law website in order to determine eligibility to file a Demand for Arbitration. VT Lemon Law website. There are two ways to make a claim: a “3-times out” (3 unsuccessful attempts to repair a defect with the vehicle) or “30-days out of service”. A consumer may file a Demand for Arbitration without 3 unsuccessful attempts at repair or less than 30-days out of service if the consumer claims the vehicle is unsafe, or to have suffered substantial impairment of the vehicle’s use or a decrease in the market value. The consumer then must persuade the Board that the dealer was given reasonable opportunity to repair and failed to do so. (iii) the consumer attempted to resolve the claimed condition by submission of a “Repair Order” or “Written Examination Report” detailing a written summary of the complaint and itemized statement indicating all work performed on the vehicle, including, if applicable, that no repair was performed on the vehicle. A dealership and/or repair shop is required by law to give you a Repair Order or Written Examination Report. 9 V.S.A Sec. 4172. Substantial impairment of the vehicle’s use, market value or safety is the standard of review as of the date of filing a demand. If a consumer can present evidence to prove the claim and is successful at hearing, the Board has the authority to order a pro-rated refund based on a statutory formula with guidelines for reimbursement of finance charges, fees, incidental and consequential damages, and purchase and use tax, or a comparable new replacement vehicle. 8. I am concerned about the impact on me or my family’s health as a result of this additional pollution, what should I know? However, exposure to emissions from an individual vehicle does not create a health threat. The EPA has indicated that it is safe to ride in a Volkswagen as a passenger even if you have asthma. The excess NOx emission would not be expected to enter the passenger compartment. While individual vehicles do not create a health threat, collectively these emissions add up to air pollution that can cause adverse health effects. For more information, please go to the EPA website regarding Frequently Asked Information About Volkswagen Violations at www2.epa.gov/vw/frequent-questions-about-volkswagen-violations. Volkswagen Group of America, Inc., has offered its consumers a goodwill offer (“Goodwill Package”) that includes, among other items, a $500.00 Prepaid Visa Loyalty Gift Card. In the Prepaid Visa Loyalty Card Cardholder Agreement there is an arbitration clause that has caused concern that in accepting this Goodwill Package, a consumer would waive some or all of his or her rights against Volkswagen. Volkswagen Group of America, Inc. and its affiliates have represented to the State of Vermont that the Goodwill Package is a gift to its customers and they have no intention to cause consumers to relinquish any rights regarding the underlying liability. Volkswagen stipulated to a court order in the United States District Court for the Eastern District of Michigan that binds it to these representations.